Mama Love: Do I have any Shake it Up Fans out there?! "Shake It Up: I <3 Dance" !!! I'm Sure if you have a girl in your life between the ages of 6-12 you've probably heard of Shake it Up! My oldest daughter is 5 1/2 (she insist on adding the 1/2 ) and I have younger sister who is 12 that introduced her to the Disney Channel Show "Shake it Up"! If you aren't Familiar with Shake it Up it is, like I've mentioned, a Disney Channel Show targeted for children ages 6-12 and is about best friends who want to be professional dancers and have sort of realized their dreams by becoming back up dancers for a popular TV show - a show within a show, but it's full of fun dancing and music that my daughter loves!! Also it isn't a show that is unappropriated for her age so that's a huge plus! She mostly watches it while dancing around the family room to all the fun music featured in the show so naturally she was thrilled when we received the CD in the Mail! She immediately went and put on her "fancy clothes" (her words not mine lol) and started a dance party right away!! She's also had friends over since receiving the "Shake It Up: I <3 Dance" Cd and of course that was the first thing she showed them!! The album features 12 dance tracks from the show's third season and has collaborations with many other Disney stars. My personal favorite was the remake of Nancy Sinatra "These Boots are Made for Walking." and my daughter's favorite was "This is My Dance Floor". The tunes are catchy fun and trendy and make you want to dance! And the Songs are totally age appropriate and total kids poppy music no offensive words or phrases, something that is truly hard to find for younger children!! 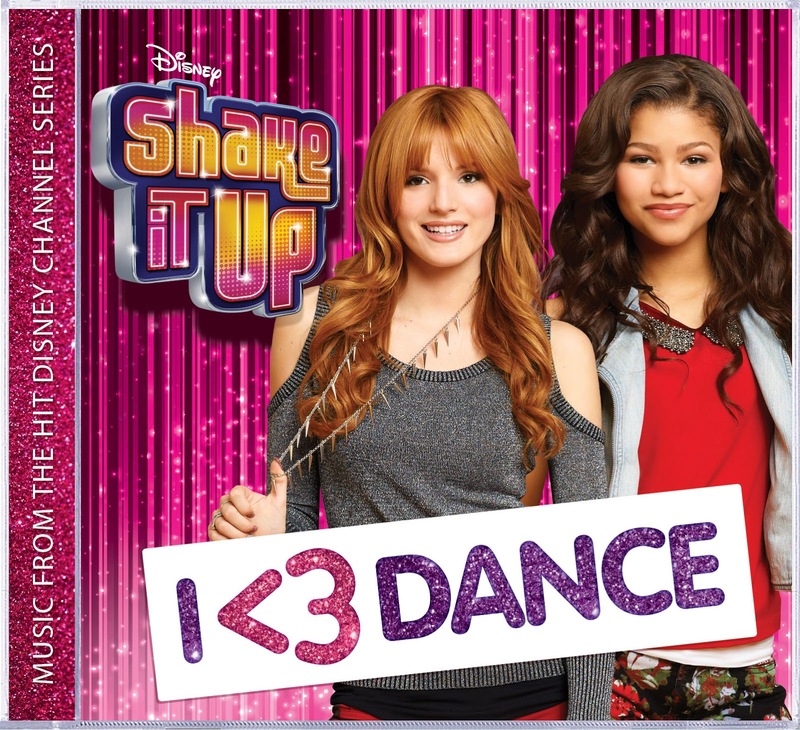 Want to get your own copy of the "Shake it Up" CD? You can also keep up to date with all things music from Disney at Disney.com/music their Facebook and Twitter.